Members of Trevecca’s men’s soccer team spent spring break week on a mission trip serving the needs of others in Jamaica. Danny Leavy, Trevecca men’s soccer head coach, led the trip. Leavy has been traveling to Montego Bay, the capital of Saint James Parish on Jamaica's north coast, for years. Through his visits, Leavy developed a friendship with the daughter of Fergus Simpson, a pastor who served the area for 50 years. Leavy wanted to offer the players a chance to step out of their comfort zones and immerse themselves in a different culture, all while helping others. Three team members took part in the trip, including recent graduates Nicolas Reinhard and Caleb Wharton, along with upcoming senior Reed Coffman. “As athletes, it's great to travel outside your element to show you just how fortunate we have it here,” Leavy said. The group spent seven days in Montego Bay and Chapelton, a town situated in the hills of the interior located three hours north of Montego Bay, where Leavy and his players volunteered at the Fergus Simpson Foundation, a local non-profit that works to enrich the community of Chapelton and its residents. On the foundation’s property sits a home that frequently hosts missionaries. It’s here that Leavy and his players built dining room tables and benches for the missionaries to have a place to eat and gather together. 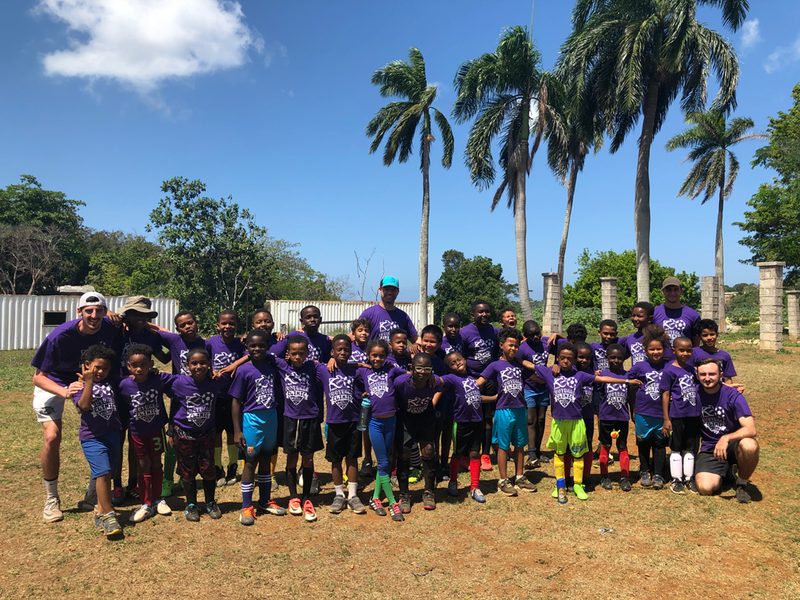 While in Chapelton, the group also taught Sunday school at the Chapelton Church of God and ran a soccer clinic for children in the community. The athletes finished their trip by serving at Montego Bay Christian Academy where they participated in a local sports day as judges for various track and field events. Players shared the gospel to the kids of the academy and spent a full service day fixing up playground equipment at the academy, followed by an evening spent with children at West Haven, a home for disabled children. For the players, the trip implanted a sense of gratitude. Aside from serving the people of Jamaica, the trip served as a team-building experience for Reinhard and Coffman's upcoming leadership roles. Reinhard will be assisting Leavy on the coaching staff next season, while Coffman will serve as team captain. Leavy has coached at Trevecca for a decade and says mission work is an integral part of the program’s philosophy. 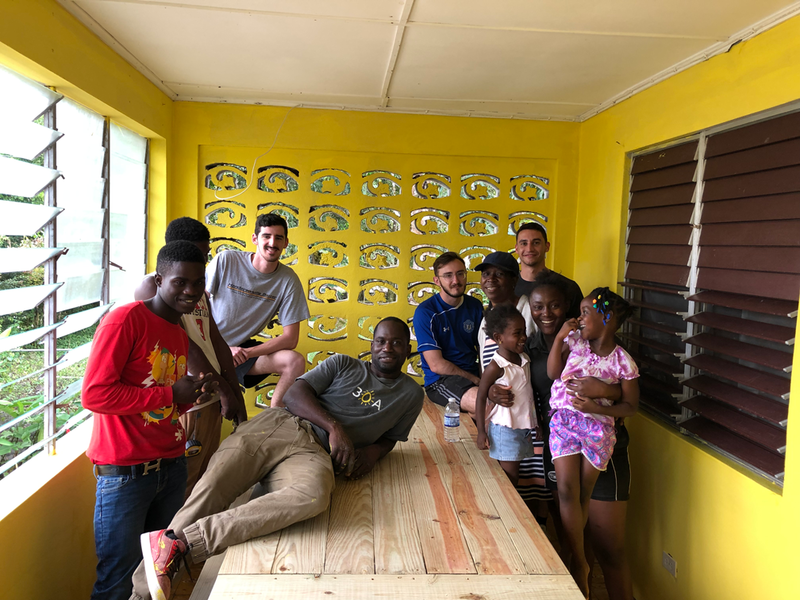 While the trip to Jamaica marks the first overseas trip in Leavy’s tenure, the team is involved in ministering to and serving the Nashville community. That includes running a futsal league, a modified form of soccer played indoors, for refugee children as well as participating in projects with Harvest Hands and working with Westminster Home Connection, an organization that repairs and modifies homes for people with disabilities.